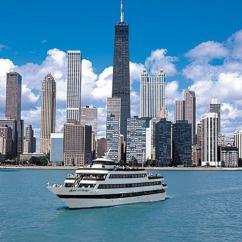 Get swept up in Windy City views from the dazzling decks of Chicago scenic cruises! 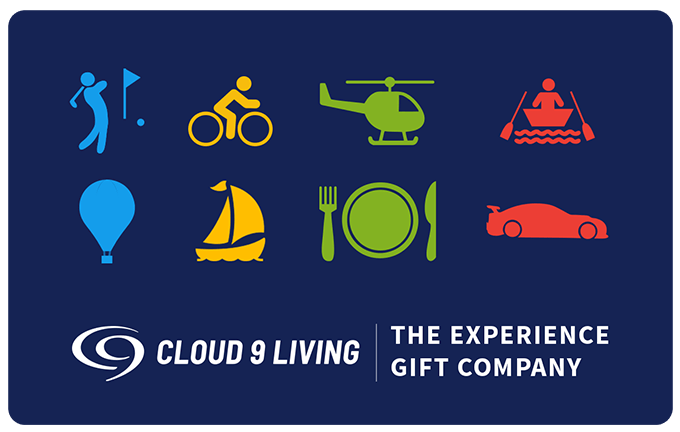 With a number tours available ranging from river boat tours to Lake Michigan cruises, it's easy to escape to the water in your favorite way, nearly any time of day. And the choices don't stop there! Pick a Chicago scenic cruise that's as low-key or high-adrenaline as your heart desires as you embark on an unforgettable sightseeing excursion. 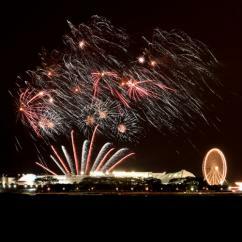 Check out Navy Pier cruises that depart from Chicago's iconic stretch of docks and amusements, to embark on H2O entertainment of their own. 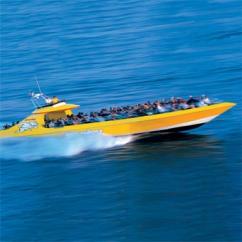 Brave the remarkable Chicago sightseeing opportunity that comes with a high speed boat ride! Rocket across the waters of Lake Michigan powered by twin 1400 HP engines, rocking out to music and marveling at the likes of Willis Tower, John Hancock Center and much more. 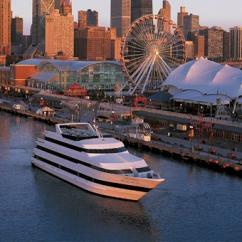 Or opt for the more laid-back atmosphere of a Chicago river boat ride to wonder at history and architecture. 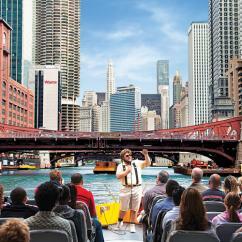 Traverse from the lake, through the locks and into the city's river, soaking up Chicago sightseeing in a truly unique fashion. There's not much better than enjoying Chicago attractions from the water — unless, of course, you add wining and dining amid a backdrop of shimmering waves and breathtaking skyscrapers. 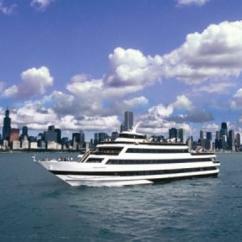 Delicious outings like a brunch, dinner or lunch cruise in Chicago take scenic cruises to a whole new level. And the freshly prepared cuisine is just the delectable beginning. 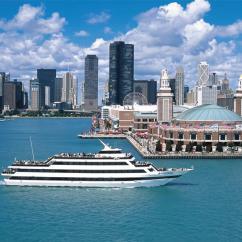 These cruises from Navy Pier boast a host of additional amenities. 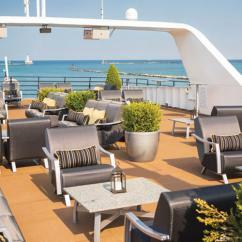 Stroll the spacious open-air decks or relax on the yacht's luxurious lounge areas while admiring celebrated Chicago attractions on the horizon. Order a refreshing cocktail from one of the cash bars, or take someone for a spin on the dance floor to the sounds of top DJs. 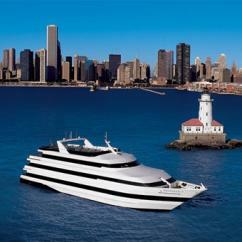 Want to add some unrivaled romantic flare to this type of cruise, or honor a special occasion? Gourmet dinner and lunch options are also available, setting the scene for a perfect afternoon or evening on the water. So anchors aweigh! With Chicago scenic cruises like these ready to set sail, there's no better way to let the Windy City sweep you off your feet with its magnificent sightseeing opportunities and memories waiting to be made.